Rev. J.J. Walsh was appointed as the first Pastor on July 1, 1892. In 1892 the parish consisted of 230 families. 189 of whom previously belonged to St. Peter’s Parish, while the other 41 were previously members of the Cathedral. The first Mass was celebrated on July 2, 1892. 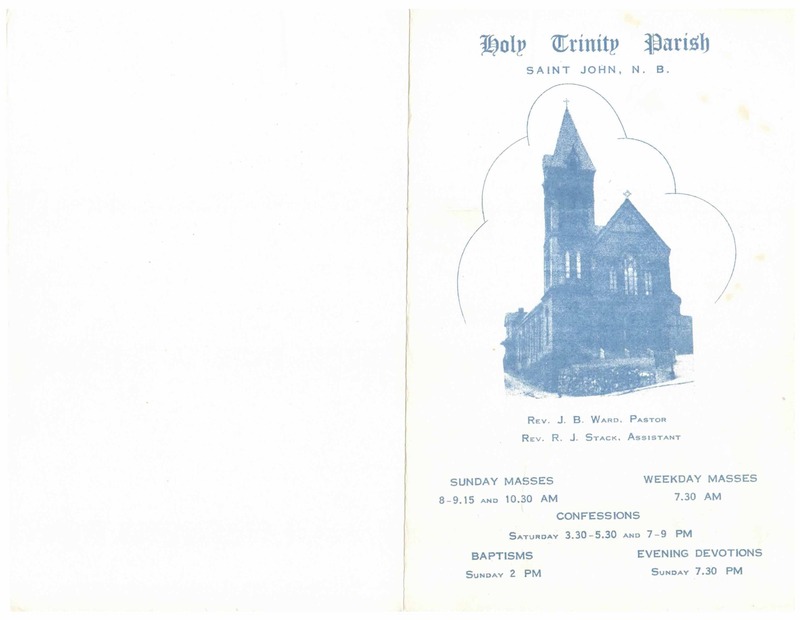 On July 3, 1892, Mary Josephine Marshall became the first child baptized at Holy Trinity. 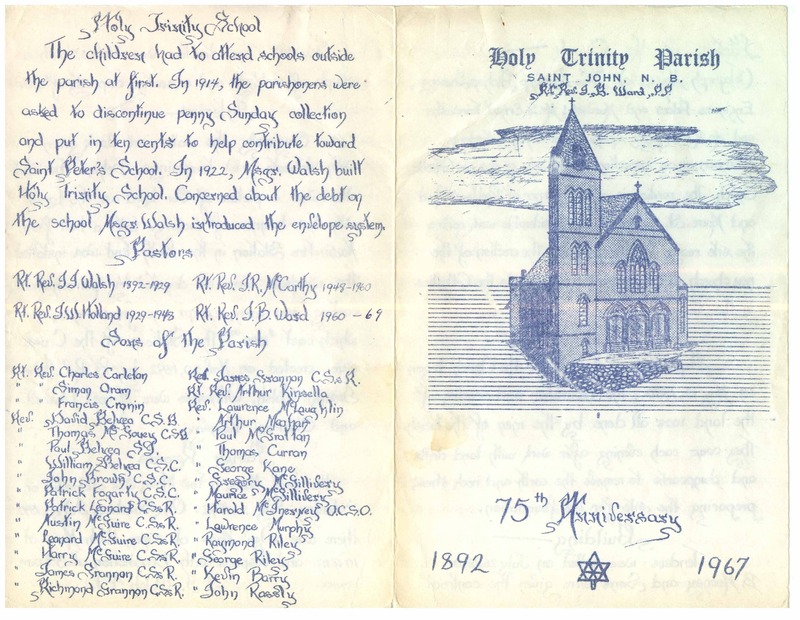 William Flavin and Annie Ryan were the first couple married at Holy Trinity on July 4, 1892. Rev. J.J. Walsh performed the ceremony. Holy Trinity acquired the former Zion Church in 1937 to be used as a parish hall. The first bulletin was published on February 19, 1961. The 75th Anniversary was celebrated in 1967.